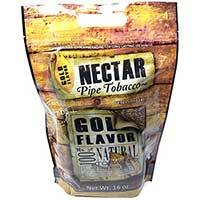 Nectar Pipe Tobacco is like sweet nectar from the tobacco gods! 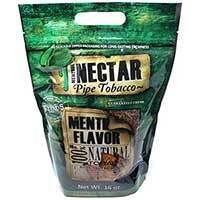 Us mortals were given a gift and that gift was the fresh flavor of Nectar Pipe Tobacco. This tobacco is 100% natural and native made, so you know you’re getting all the good stuff and non of the bad stuff that other brands mix in their tobacco blends. You’ll appreciate the smooth taste and even burn from this tobacco blend that will more than satisfy your smoking urges. Manufactured by Seneca manufacturing Company in Salamanca, NY, this blend of tobacco is one of the best options around that won’t break the bank. The well-made and very economical pipe tobacco features no surprise in its taste or your wallet! Made with quality tobacco that’s ribbon cut and air-cured, so you’ll love how it’s infused with only the necessities that provide it with an even burn and a fine draw each and every time you light up. 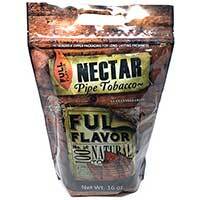 Nectar Pipe Tobacco is curated to provide an authentic natural experience any time you smoke it. It’s the perfect choice for any novice or mature smoker given its mellow taste and delightful aromatic room notes you’ll crave time and time again.